With all the hype that can build up the latest and greatest "superfoods," it's easy to forget that there are plenty of edible plants out there that deliver more than an average nutritional punch. Usually they don't have a PR campaign backing them -- watercress, for example, is one of the most nutritious greens around, yet gets no street cred. 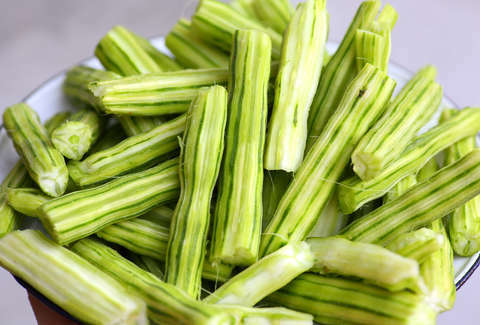 So don't blame yourself if you haven't heard of moringa, also known as "drumstick tree." Native to the Himalayas and grown widely across Africa and Asia, moringa has more nutrition hiding in its leaves and pods than there is in virtually every other plant, and it's easy to grow on top of it all. Forget the kale, this is your new favorite super-plant. Here's why. The healing powers of moringa exceed those of internal health alone. Not only does it have antibacterial properties, but moringa is just as effective as regular old soap for hand washing. There's also the fact that it can help protect your skin against UV radiation, and you can envision a scenario in which you wash your hands with moringa before cooking moringa before putting moringa on your face when you go outside. If you're into that. Fine, you're in perfect health and don't need to eat a cholesterol-lowering plant. Oh, you've also stocked up on hand soap and sunscreen for the year. Moringa leaves happen to be loaded with vitamins, minerals, and all the antioxidants your heart could desire, plus it's a great plant source of protein -- in short, you really can't go wrong when consuming moringa. Moringa has received some attention as a potential wellspring for developing countries with large segments of their population that fail to meet their nutritional needs, since it's drought-resistant and grows abundantly. Another trick it pulls off: water purification. Since access to clean water is an ongoing problem around the world, a plant that's easy to grow and doesn't require sophisticated equipment to render water potable could prove to be a valuable tool as the global population continues to grow. Since moringa hasn't exactly been the talk of the grocery store here in the US, you'll have to track it down if you want to get your hands on it. While you can grow it yourself, you probably don't want to, as the process, for most, is more trouble than it’s worth. 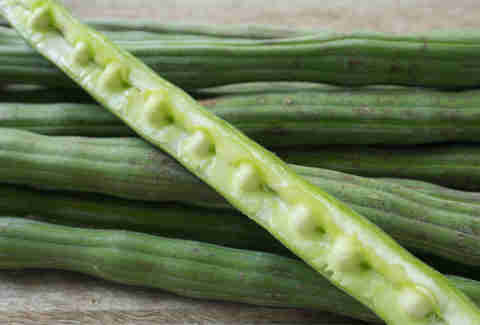 If you do happen to find it in its raw form, you can eat any part of the plant, which has a flavor a bit like mild horseradish; you can also find moringa in powder form. 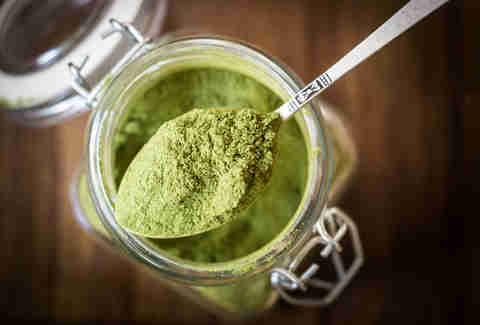 Whether you're using the actual leaf or a product of it, there are several ways you can incorporate moringa into this lifestyle of perfect health you're going to adopt immediately (right?!) Get started with some recipes, including curries, sauces, and chili. Julie Peirano is a freelance writer who thinks moringa just might be the next best thing since sliced bread. Follow her: @juliepeirano.